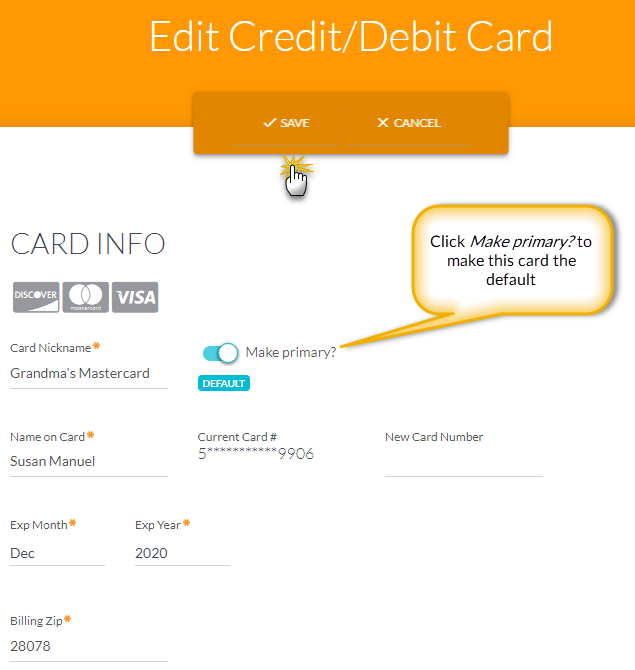 To give your families the option to update credit cards in their Portal the Parent Portal setting Credit Card Information (Family Information section) must be set to Can Update. If your provider supports multiple cards on file (SafeSave and C&H Financial) and you would like to offer this option to your families set Allow 3 credit cards per family/account to Yes. This setting is accessed from the Tools menu > Credit Card/Bank Account Settings. 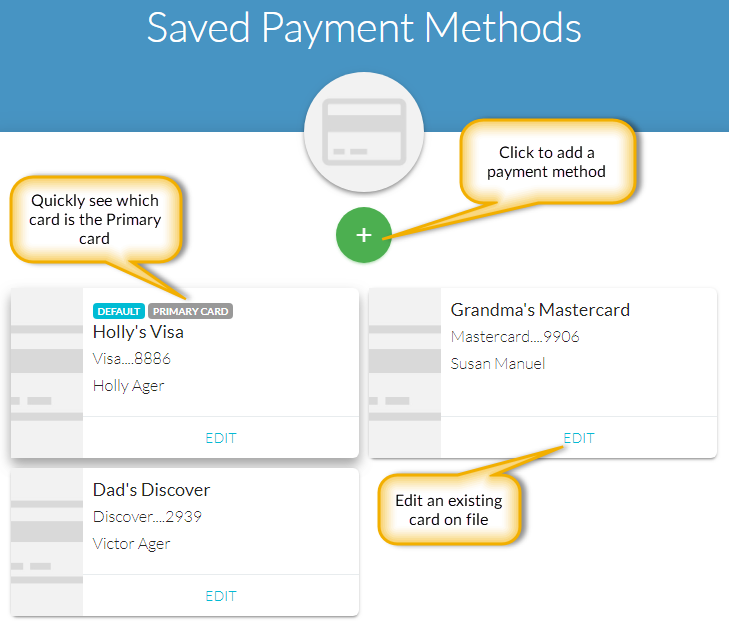 If you allow parents to make payments via the Portal, the Primary Card is used when a payment is processed. If the family has more than 1 card on file and the parent does not want to use the card currently set as the Primary Card for a payment, they will need to reassign the status of Primary Card to the card they do want to use. To add a credit card to the family, click the '+' icon. If only one card is saved, it automatically becomes the Primary Card on file. If more than one is saved the parent must choose a Primary Card. It is only possible for a parent to delete a credit card when they have added another card first. 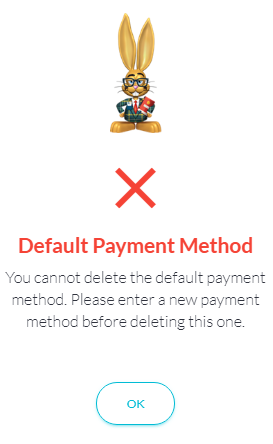 If a parent tries to delete the only card on the account they will see an alert advising them that they must first add another payment method before they can delete the card.